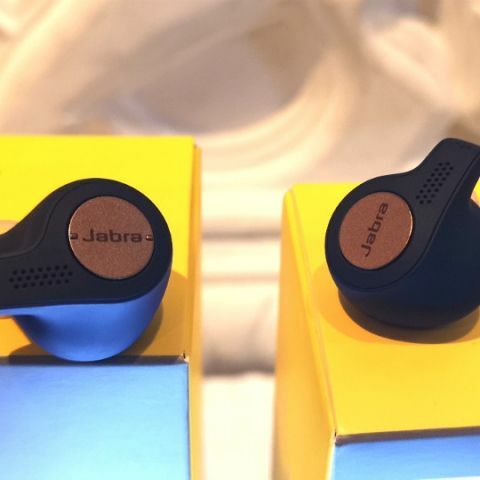 The company also showcased its previously launched Jabra Elite 65t true wireless earbud, Elite 45e, and Elite 25e neckband earphones. Jabra has launched its Elite Active 65t truly wireless earbuds and Elite 65e wireless earphones at an event in India today. The two audio devices add to and complete the existing portfolio of the company’s Elite series of devices, which includes the Elite 25e, Elite 65t, and the recently announced Elite 45e. The Elite Active 65t and the Elite 65e are priced at Rs 14,999 and Rs 16,999 respectively. All the mentioned devices are now available via Amazon, Chroma and authorised Jabra retailers. Both the devices can be paired with the Jabra Sound+ app, using which one can control the call and music experience, with the built-in equaliser, and also update the devices if there is an Over-The-Air (OTA) patch available for them. Both the new earphones come with a one-year limited warranty, but one can get an additional one year warranty if they register the device with the Jabra Sound+ app. The two earphones feature Bluetooth 5.0 and come with Alexa, Google Assistant and Siri integration. The Jabra Elite 65e is a neckband style earphone, which is IP54 rated water and dust resistant. It is equipped with three microphones that are said to create a “noise-blocking zone” for delivering better audio quality while on calls. It also comes with Active Noise Cancellation, which uses two mics in each earpiece to cancel out outside noise. The earphone sports a frequency range between 20Hz to 20KHz and are equipped with a 15mm dynamic driver. The company claims that they Elite 65e can deliver up to eight hours of audio playback with noise cancellation turned on and 13 hours when the feature is turned off. Coming to the Jabra Elite Active 65t, it is a truly wireless earphone comes with a frequency response between 20Hz to 20 KHz and is also IP56 rated water and dust resistant. It is said to deliver five hours of battery life on a single charge and an additional ten hours, counting the included case that doubles as a charger. The device features four microphones for wind noise protection and ambient noise reduction. They are equipped with an accelerometer as well, which enables fitness and performance monitoring with the Jabra Sound+App.